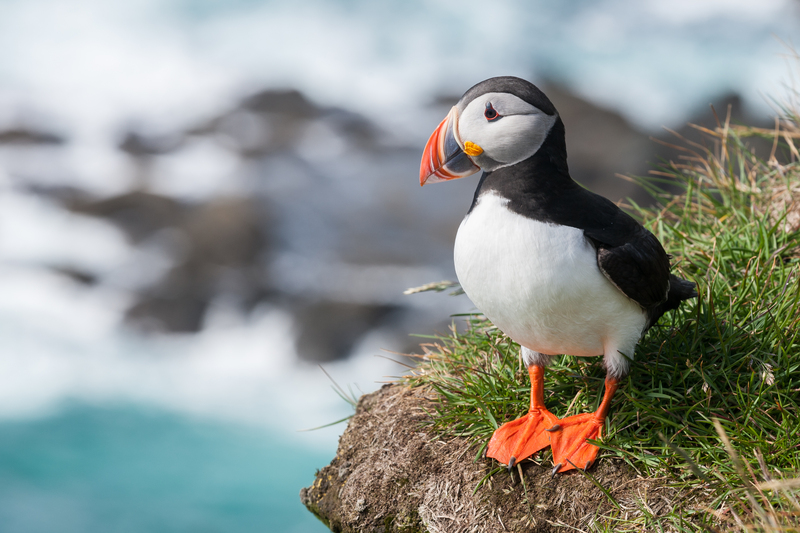 Puffins are sea birds that can fly, swim, and dig burrows. These squat birds live on cold, Arctic coasts. Puffins have thick, waterproof feathers that protect them from the cold. They have webbed feet that help them swim. Their huge, parrot-like bill stores fish as they hunt underwater. It is wide in profile and narrow when viewed from the front. In breeding season, the bill becomes brightly colored. Puffins are carnivores (meat-eaters) that dive in the sea for food. They eat mostly small fish.